SK Hynix, the world’s second largest memory chip maker, placed an order for the new generation of the Carl Zeiss system CDC/RegC® Combo for optimizing the photomask and enhancing the wafer yield. JENA/Germany, 19.06.2012. The new system CDC/RegC® Combo is the second Carl Zeiss tool for SK Hynix used for critical dimension control. The latest version is a combination tool and adds a registration control feature. SK Hynix will use the system in the mask shop for tuning of high-end photomasks. Since 2007 SK Hynix has been using ZEISS Critical Dimension Control (CDC) family for their standard mask manufacturing process flow. "SK Hynix is the first customer combining both features CDC and RegC® to take advantage of all possible CD and overlay corrections as well as registration errors. This is a smart move since it will result in optimized photomasks and increased yield in mask manufacturing by reaching critical specifications and in the wafer fab by optimizing the lithography process." states Dr. Oliver Kienzle, CEO Carl Zeiss SMS GmbH. The ZEISS CDC/RegC® Combo improves CD uniformity (CDU) across photomasks with high repeatability and precision by employing a femtosecond laser technology. By the use of a dedicated algorithm combined with a tunable laser system, the laser pulse implants arrays of dots in the glass bulk with adjustable optical and mechanical properties. This enables the mask manufacturer as well as the chip maker to meet tightest CDU and registration/overlay specifi- cations. 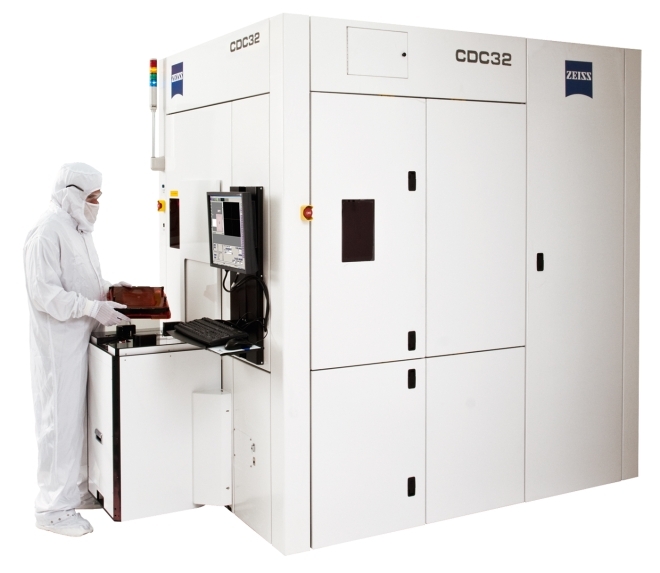 CDC/RegC® Combo covers the 20 nm node requirements and beyond.